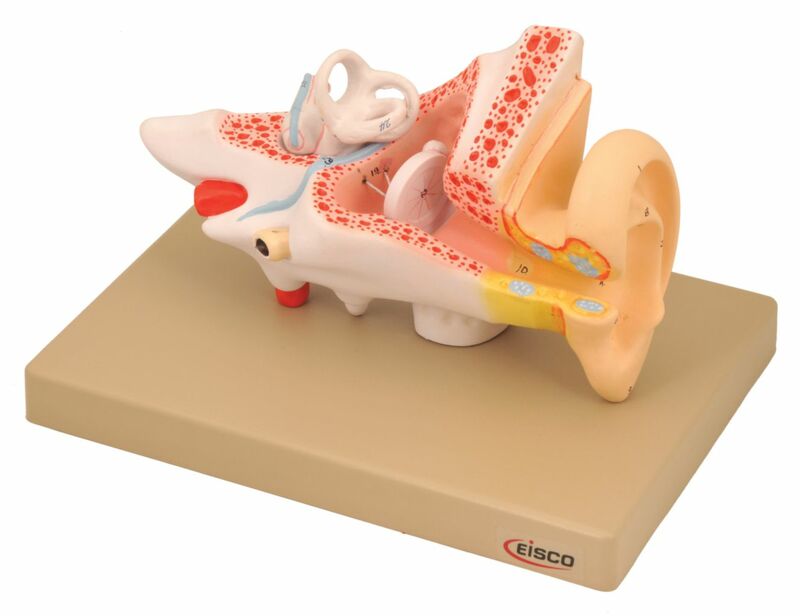 This Human Ear model demonstrates external, middle, and internal portion of the ear. It dissects into three parts, and the ossicles and labyrinth are removable. The model includes a reference key card.